Trade liberalisation and implications for human rights. 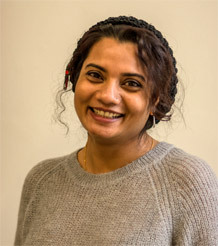 Swati studied law in India and practiced as an advocate in Indian law courts. Her interest in the workings of International trade law brought her to England where she pursued her second Masters. She then qualified as a solicitor and practiced in the area of criminal law. Her keen interest in socio-legal implications of trade laws led to a PhD in the area of international trade in healthcare services and the right to health from University of Manchester. She is interested in assessing the impact of trade liberalisation on human rights. She has written papers on intellectual property rights in India, Socio-Legal Implications of Reproductive Tourism in India and Medical Tourism and Health Equity.